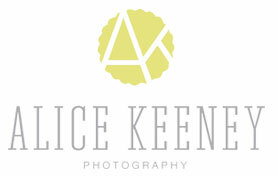 Alice Keeney is based in Charleston, but is available for travel as well. She loves shooting anything from weddings, to portraits, to news, and hopes to continually look at everything with unique eyes and new perspectives. Frampton’s Flowers has been serving the Charleston area for over 50 years. Located on the corner of Rutledge Avenue and Wentworth Street Frampton’s is your local neighborhood florist. We have an experienced team who will make it their mission to meet your floral needs. Natural Health Center is a family-oriented, alternative health care clinic. Our goal is to provide superior patient care for you and your family. We offer a comprehensive approach to pain management due to a wide variety of conditions. Located in Mount Pleasant, South Carolina, we offer chiropractic care, acupuncture, scoliosis recovery, massage therapy, nutritional counseling and more. 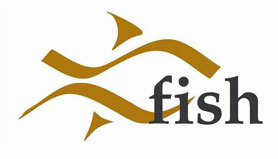 We have been serving East Cooper and Charleston areas since 1998. If you are currently living with pain, contact us today! We provide a safe and natural approach to health and healing. Your free, word-of-mouth directory for hundreds of women-recommended businesses, helpful hints & tips and what's hot & happening in your community. South Carolina’s singular French Master Chef Nico Romo reimagines classic French cuisine with delicate Asian touches and unrivaled presentation at Fish Restaurant. Our always-changing menu showcases the finest local and sustainable ingredients, resulting in fresh and flavorful dishes that engage and inspire. Chef Romo and our passionate culinary team work closely with local fishermen and farmers to source the freshest, most flavorful ingredients complementing seasonal harvests. The Montessori Method offers an enriched curriculum which incorporates and extends district, state and national standards. Scientific and mathematical attitudes, appreciation for history and timelines, literacy across disciplines, research and development of community flourish in the Montessori classroom. Students are actively involved in their education, learning the habits and skills necessary for self-directed, independent, life-long learning. 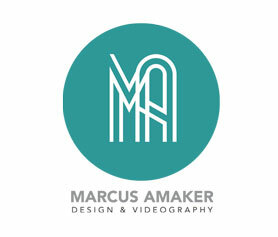 Marcus Amaker is a graphic designer, web designer, videographer, poet and musician who has lived in Charleston for 12 years. He is the former editor of The Post and Courier's Charleston Scene entertainment section. Since leaving the newspaper business, Marcus has continued to do work for the local nonprofit and arts community. Some of his clients include the Gaillard Center, Jazz Artists of Charleston, Quentin E. Baxter, the Gibbes Museum and, of course, Sweet 185. He has published six books of poetry.